It seems that now the issue has disappeared: you can have Israeli visas or stamps in your passport according to this embassy report. 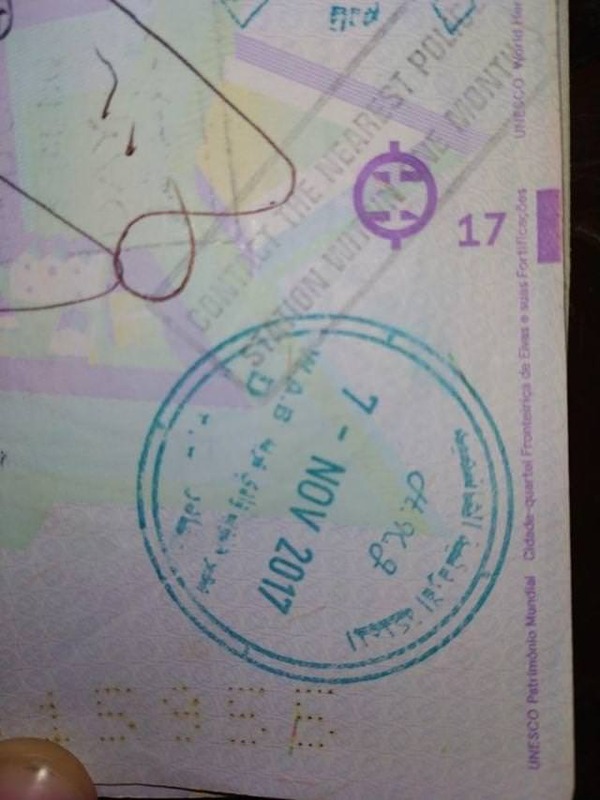 I was thinking about visiting Iran on early November, but I noticed a few weeks ago that although I don't have an Israeli stamp on my passport, I have a stamp from Jordan showing that I crossed the aqaba border into Israel in November last year. My plan was to get a visa on arrival, as I have a Portuguese passport but now I'm afraid that they might deny me entry into the country and I have to get an expensive flight out of Iran. Should I go for it anyway? Or do I have time to go to an embassy first? I have to be there in early November otherwise I won't have time to see Iran. And do I need an invitation letter? I'll be in Tbilisi tomorrow. Get yourself a second passport, it's illegal according to Iranian law. If your passport is full of stamps, it may not be checked, but if someone does so and finds it, you'll be in trouble. You might also be blacklisted by the Iranians. Milad wrote: Get yourself a second passport, it's illegal according to Iranian law. If your passport is full of stamps, it may not be checked, but if someone does so and finds it, you'll be in trouble. You might also be blacklisted by the Iranians. I can get in trouble just by trying to get a iranian visa with that stamp on my passport? I got some hope from what it says on the caravanistan website: "For travelers with any evidence of visiting Israel: it used to be a problem. Anecdotal evidence of travelers seems to indicate it is no longer an issue since 2017"
At the embassy, all they can do is to deny your visa application and possibly blacklist you. You might get in trouble if they didn't bother to flip through your passport at the embassy but do so at the border, as visiting Israel is an actual crime in Iran. I therefore always recommend to get a second passport, the peace of mind should be worth the cost, although nowadays most people report no problems, yes. Milad: do you have any evidence of people getting in trouble because of an Israeli stamp since 2017? If so, let me know, then I will change the wording on the visa page. I actually also heard that is no longer a problem. Is illegal to visit Israel for Iranian citizen. Yes, not for tourist. Anyway, I would specifically ask at the embassy if the stamp is a problem (hoping they don't notice the stamp, doesn't sound like the best option) . I wait your news. Thanks. Not since 2017, no. But Iran is a country where everything can happen and the authorities are totally unpredictable, which is why I can only advise to be better safe than sorry. I've been to the US a few times during the last years. Does Iran care if I have some (4) US stamps? Question:Turkmeni transit visa need UZB and IRAN visa first? Iran has started issuing E-visas since the start of 2017. All your questions and experiences with this new system are welcome in this thread.